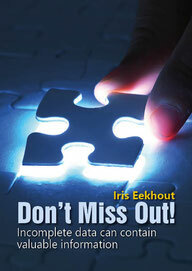 In research, missing data occur when a data value is unavailable. Many empirical studies encounter missing data. Missing data can occur in many stages of research due to many different causes in many different forms. For example, missing data can take place on one or more of the measured variables that are used as a predictor, covariate or outcome. In the case that participants in a longitudinal study do not show up at repeated measurement occasions, the missing data are often referred to as drop-out or loss to follow up. Missing data can also occur on a multi-item questionnaire due to questions that have not been filled-out by the participant. In that case some items can be missing, or the entire questionnaire might not be filled out. All of these examples of forms of missing data can have different underlying causes and might require different solutions.